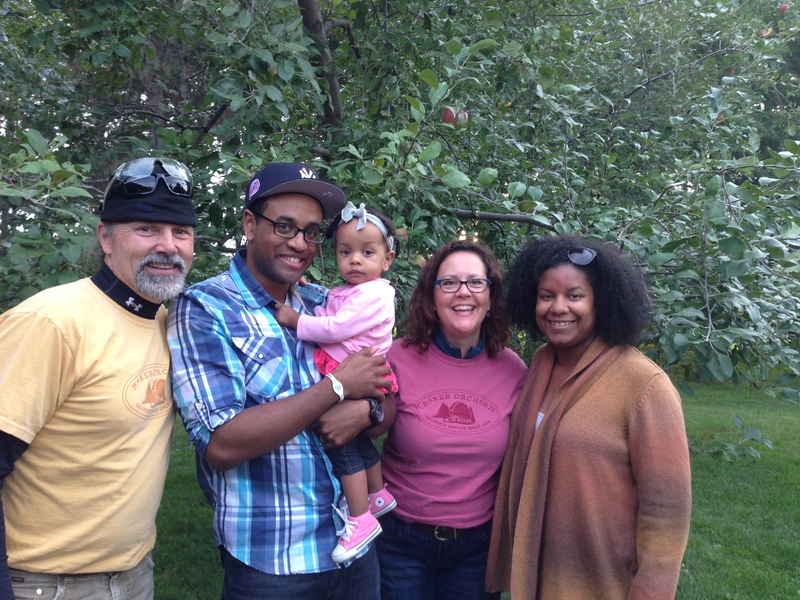 Earlier this month my husband, daughter and I, went to visit the Baker Orchard in Centuria, WI. My (pretty much) brother-in-law, Ryan, his family owns the orchard. Ryan’s family lives in Minnesota, and since we were going to pass through Minnesota on our drive back to Montana from Illinois, we made plans to stop in Minnesota, and spend time with Ryan and his family. 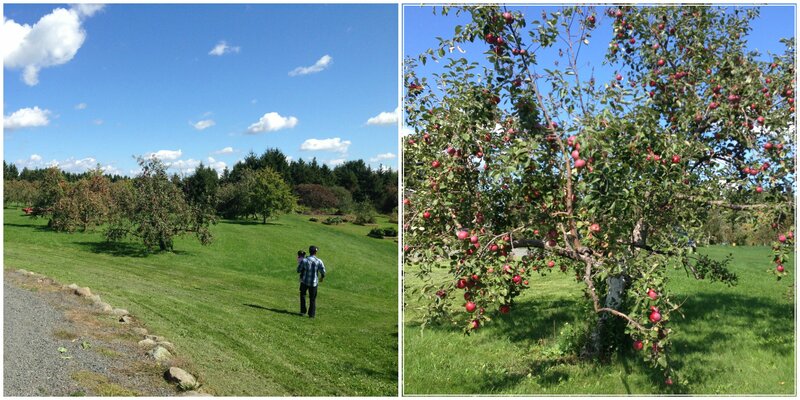 During our brief, yet fun stay with his family, we decided to go to their apple orchard and spend the day there. 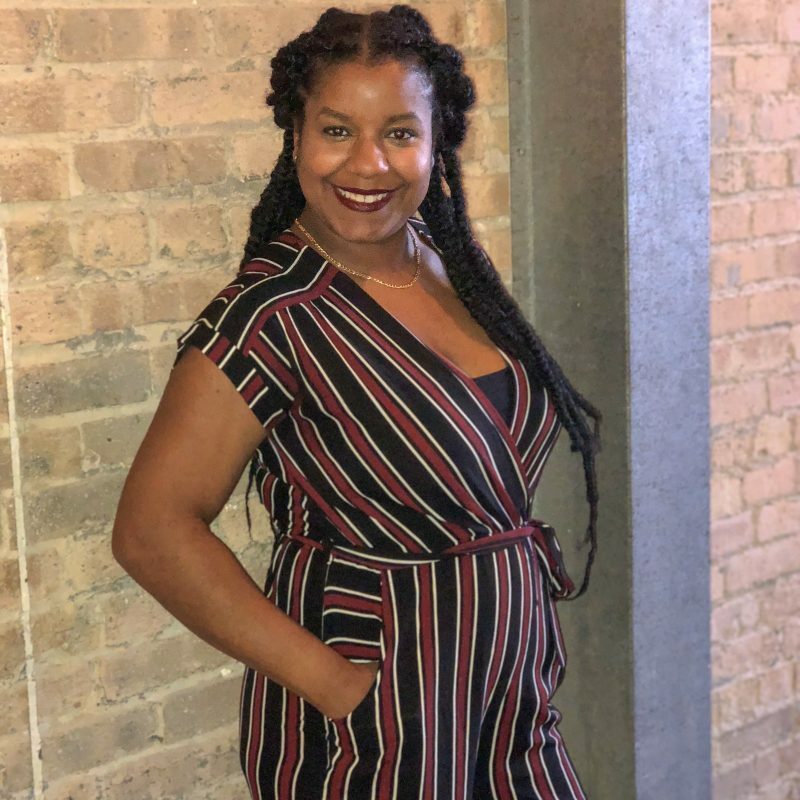 I happen to LOVE apple orchards, and knew it would be the perfect fall activity to wind down from a pretty hectic two weeks at home, in Illinois. 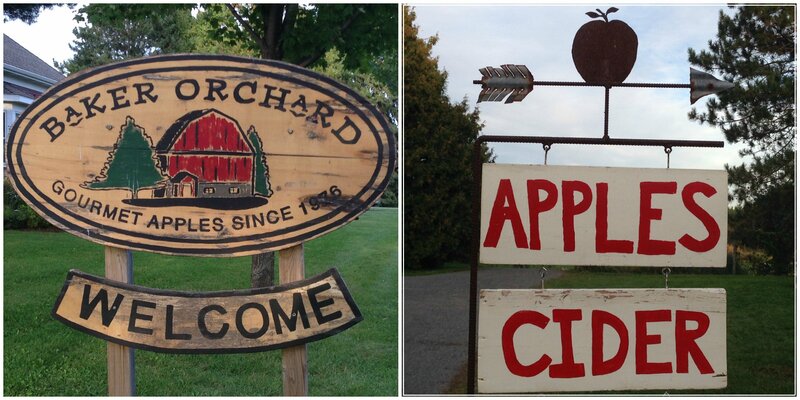 It was the perfect day to spend at the apple orchard. Seventy degrees, sunny, and not too crowded. We were able to check out the gallery filled with so many beautiful hand-made arts and crafts. In addition to the arts and crafts, there were yummy non perishable food items for sale as well, in the gallery. We bought a bottle of pure maple syrup, and Mexican hot chocolate to bring home with us. After we finished our shopping and tour of the gallery, we wandered out to the field and ate some extremely deliciously juicy apples. 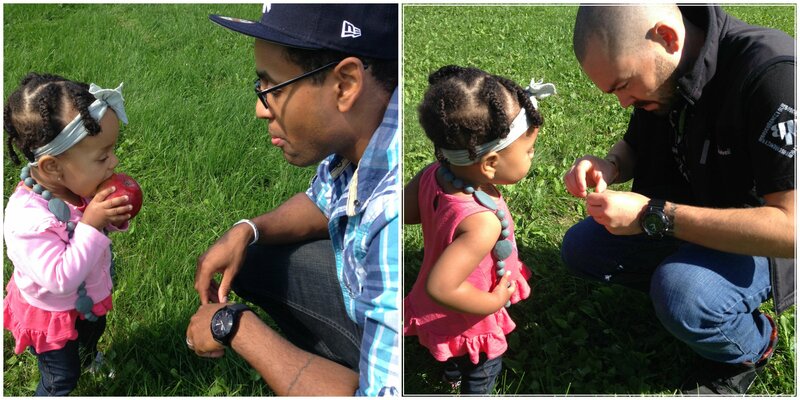 Jordyn had her first fresh picked apple that day, as well as, fresh cherry tomatoes from the garden that Uncle Ryan shared with her :-). 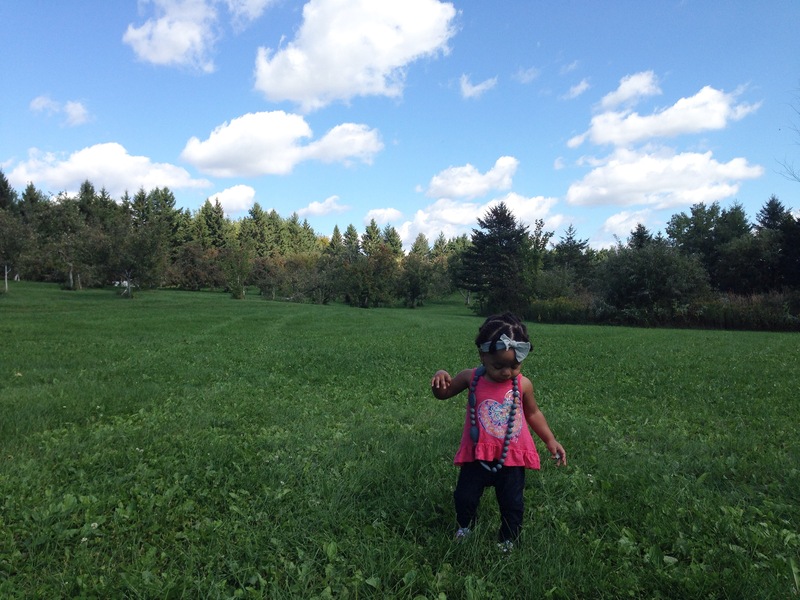 Here’s another picture of Jordyn thoroughly enjoying herself, running around the orchard, soaking up the fresh air. By the end of the day we took a ride out to the “peace garden” and completely understood why it was called the peace garden. It was too beautiful to be able to describe in words, but it is truly a snap shot of how perfect God’s green earth can be. Kris, Ryan, Jordyn and I walked around the “peace garden”, took some beautiful and a few not so beautiful pictures while we were there LOL. 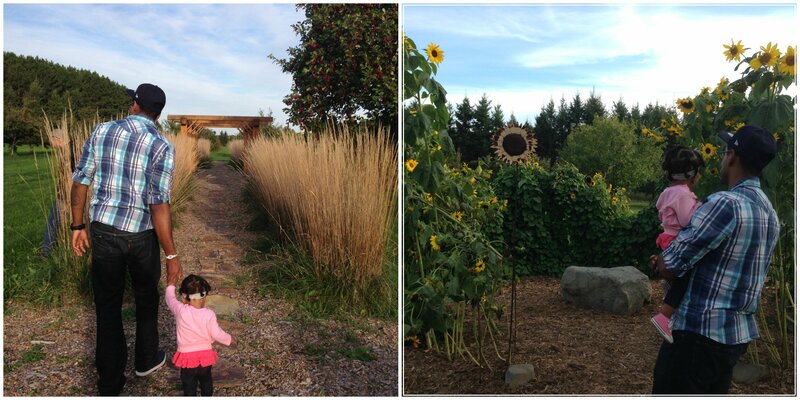 We ended the amazing trip to the Baker Orchard having drinks, eating food, and plenty of laughs with Ryan and his family. There were even a few games that took place. 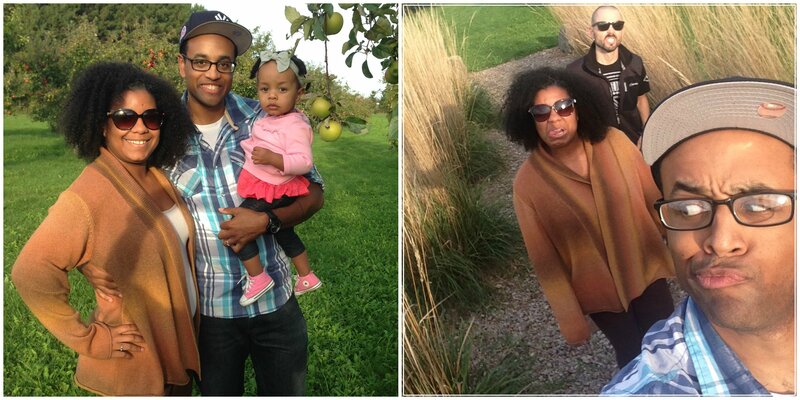 This was Kris’ first time at an apple orchard and it’s pretty safe to say enjoyed himself as much as I did. We ended the trip the only way you should end a trip as fun-filled as this one – with an awesome group selfie.. 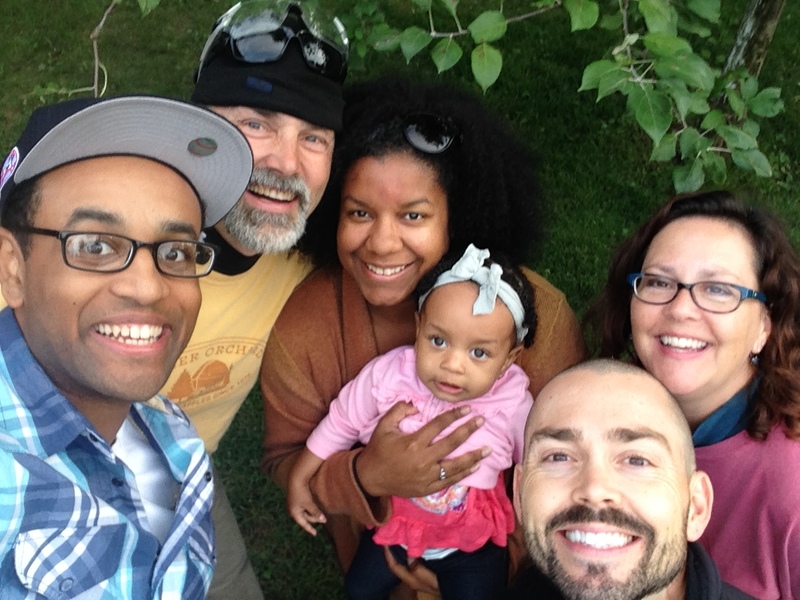 Thank you for the amazing hospitality you all showed us while we were in Minnesota. We had such a great time, and look forward to going back and spending more time with all of you. It’s very rare you meet people in person for the first time and feel like you’ve known them for years. Thanks for being amazing! We love and miss you all.